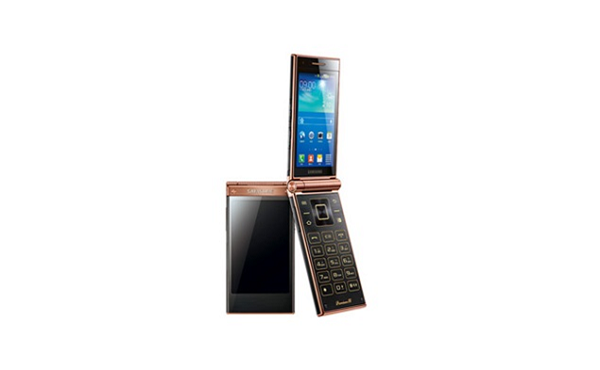 It seems that Samsung is focusing on its flip phones and that’s why it has launched its third flip phone this year. earlier this year Samsung has launched W789 and Galaxy Golden. Specs of Samsung W2014 remains almost same of earlier launched flip phone, however W2014 comes with faster processor of Snapdragon 800. As per specs, the Samsung W2014 flaunts two 3.7-inch Super AMOLED touch screen, one on the inside and the other is outside, with a resolution of 480×800 pixels, it is powered by a quad-core Snapdragon 800 processor clocked at 2.3GHz paired with 2GB of RAM which makes it fastest flip phone from Samsung. Other features of Samsung W2014 area, an 13 megapixel rear camera and a 2 megapixel front-facing camera, it comes with 32GB onboard memory and option to expand it up to 64GB via microSD card, it houses 1900mAh removable battery. On software front Samsung W2014 runs Android 4.3 Jelly Bean out of the box, it an dual-SIM phone. Samsung has launched this phone in partnership with China Telecom, however company hasn’t announced its pricing or availability yet. We assume that this phone will be launched in first quarter of 2014 in India. We are focusing on this news, stay tuned with us for more information about Samsung W2014.